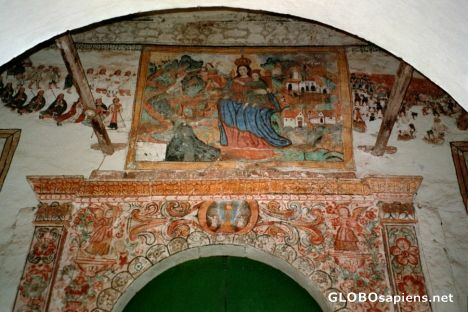 Built on an Inka ruin, this church features an interestin-g blend of Peruvian/I-nka traditions with Spanish Catholic ones. Special artwork Eire, let us reserve the "@" sign for emails and prices [see in 10 years]. Martin and other members also over-use it without thinking. For S.America, increadible church-art.